The principal of American Fenster H.S. 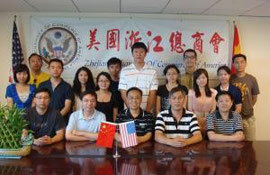 Antony visited ZCCA in August and seek to build relationships with high schools in China. The president of ZCCA suggested that both America and China have their own features in education. On the afternoon of Oct. 26th, the principal of American Fenster came to visit Wenzhou Lucheng High School. 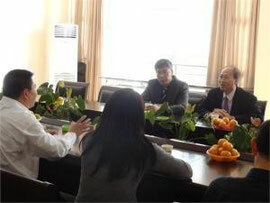 The school faculties of Lucheng High School asked Fenster some detailed questions related to travel aboard. Fenster patiently answered these questions and was very willing to provide some study places for Lucheng High School.